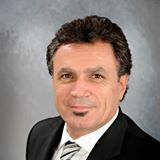 #2 - 8507 Main St.
Sun Life Financial - Financial Dream Solutions Inc.
Carmine has been living in Osoyoos over 20 years with his wife and 3 children. He has been serving the Osoyoos and Okanagan area for over 18 years. He identifies financial opportunities and helps you make informed financial choices for building and protecting your savings based on your goals and plans for the future. He is committed to providing clients with exceptional product knowledge and outstanding service, while displaying the highest standards of ethics. Carmine's areas of financial expertise include: planning for retirement, investment management, life and health insurance, tax saving strategies and group benefits. Whether you're an individual or a small business owner, he can help you to achieve lifetime financial security. He looks forward to helping you build your plan.